Pumpkin, a Halloween vegetable not just banishes evil spirits, but also can banish diseases and infections from your body as it is packed with nutrients. It is not only used as a base in food, but also as an ingredient in sweets and medicine because of its perfumed and delicious taste. This fruit from an herbaceous plant can be oval or spherical, of a green or intense orange color and is cultivated even for the seeds and flowers. Pumpkin with the highest levels of vitamin A helps in maintaining the integrity of skin and mucous membranes, also helping in improving the vision especially for children. Pumpkin is also a storehouse of vitamin C and E.
As they are rich source of antioxidants, they help in protecting against heart diseases. Pumpkin acts as a laxative and also helps in relieving dyspepsia and constipation. The sedative property of pumpkin helps correcting insomnia. Pumpkin is recommended for treating burns, inflammation and abscess as it softens the skin and diminishes the inflammatory process of mucous membrane. It is also used in hydrating and anti-wrinkle creams. Cataplasms of crushed pumpkin pulps can be used for insect stinging till it is healed up completely. Fact: Neutral pH of pumpkin helps in relieving acidity and ulcers. Cook pumpkin well to reduce flatulence after consumption. Myth: Pumpkin seeds are poisonous. Fact: Pumpkin seeds are packed with nutrients like iron, mono unsaturated fatty acids, protein and dietary fibers. They are said to be beneficial for heart and brain. Add small pieces of microwaved pumpkin to your vegetable salad to add color and taste! A glass of pumpkin juice without sugar can help relieve ulcers and acidity. Roasted pumpkin seeds with salt and pepper powder can be used as a healthy snack. 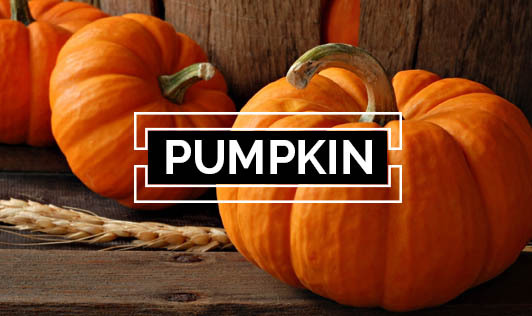 Pumpkin can also be used in pies, custards, pancakes and soups.